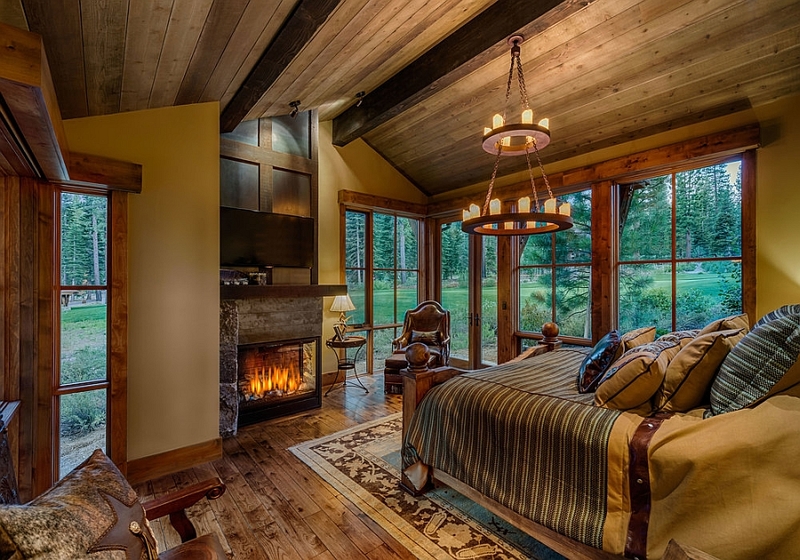 It is that time of the year again when we all long for a fun-filled, memorable holiday trip to a lovely cabin or mountain retreat. 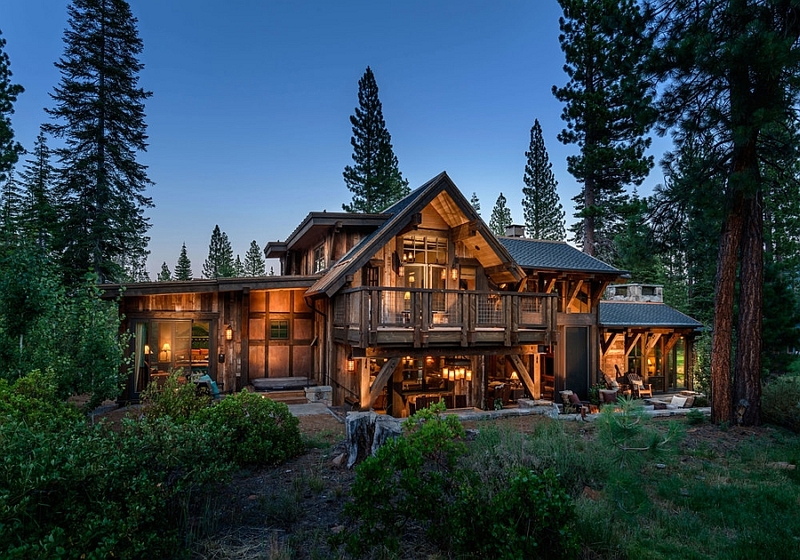 With the chill in the air well and truly here, the image of a woodsy cabin surrounded by a scenic landscape is comforting indeed. 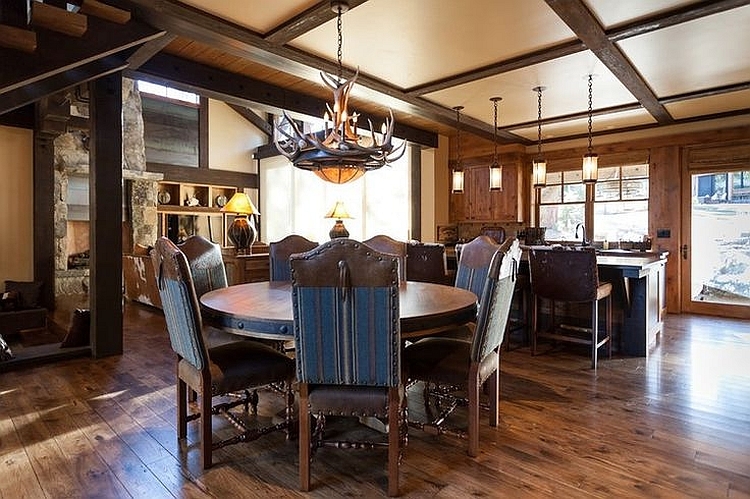 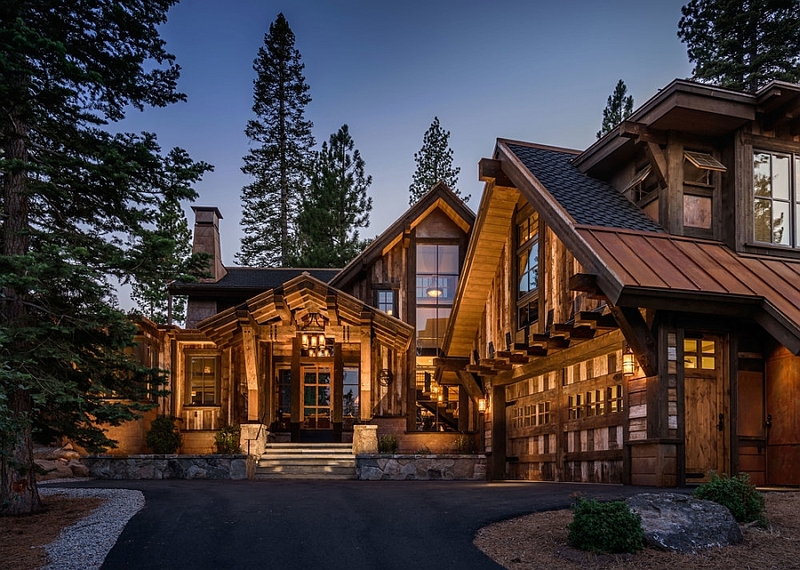 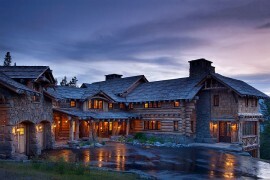 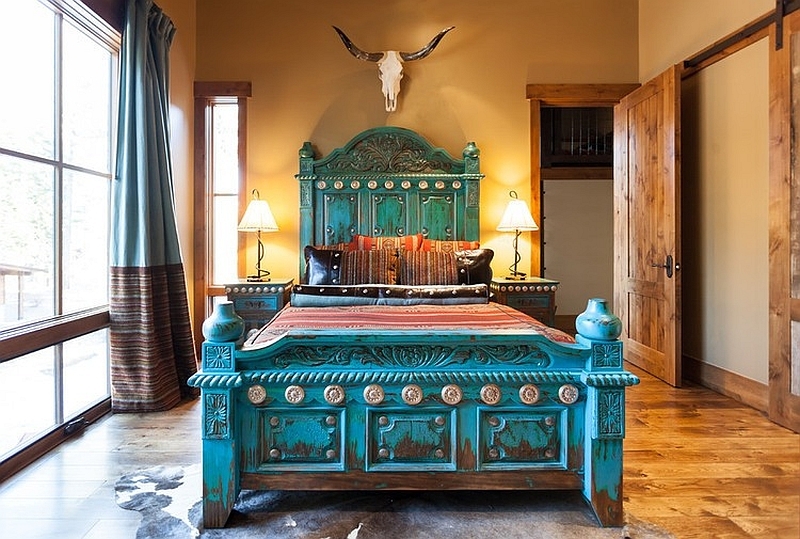 Located in the renowned Martis Camp in California and close to Lake Tahoe, the Austin Cabin attempts to bring a touch of “Texan personality” to the region. 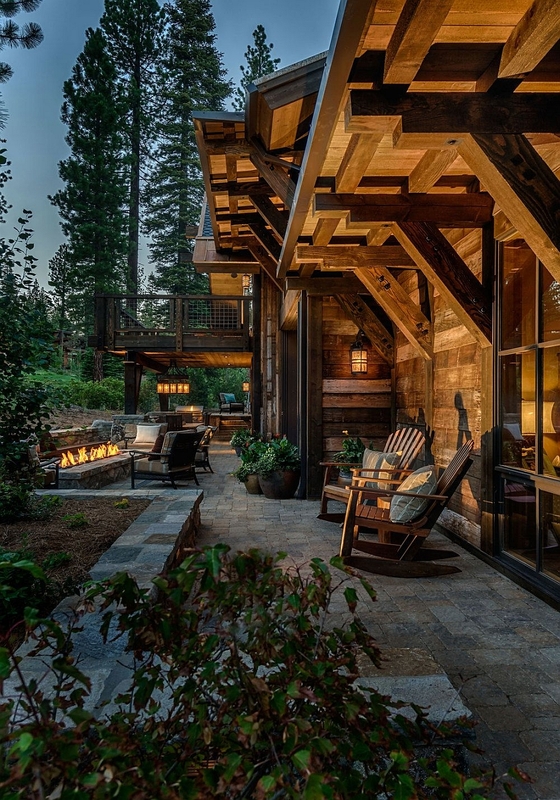 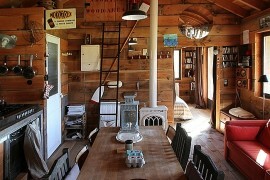 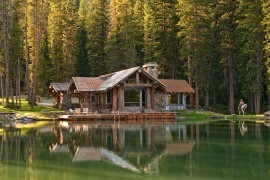 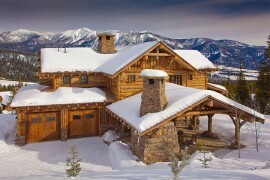 This gorgeous cabin is a wonderful blend of both rustic and modern styles. 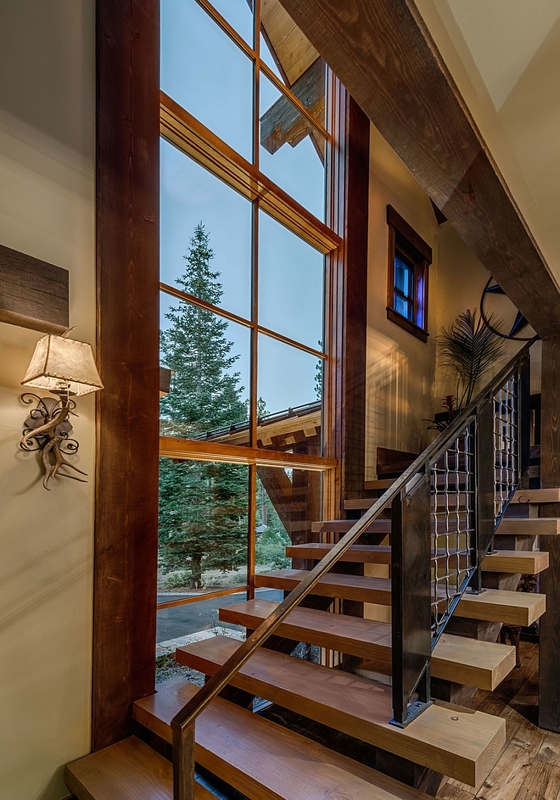 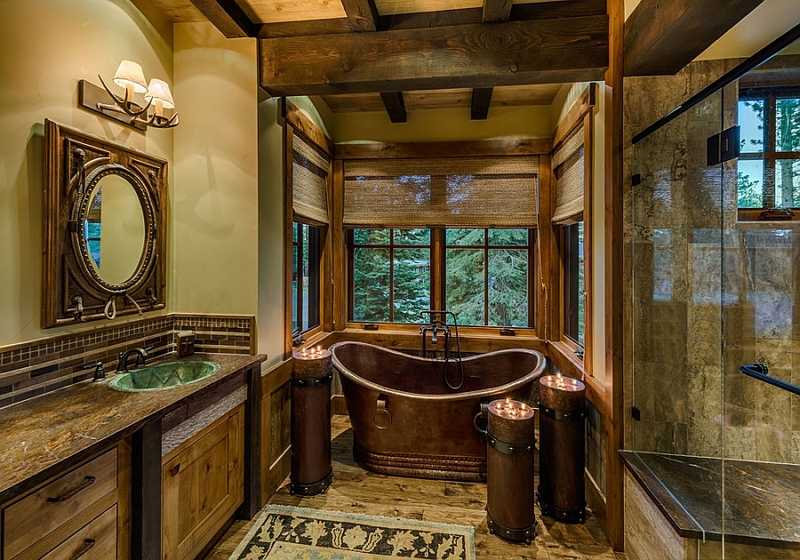 Crafted using reclaimed materials, the natural textures inside create a warm, inviting setting. 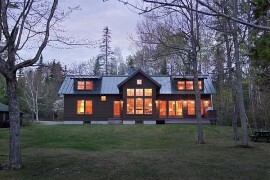 Designed by Walton Architecture and built by Greenwood Homes, it sure offers an idyllic, expansive getaway! 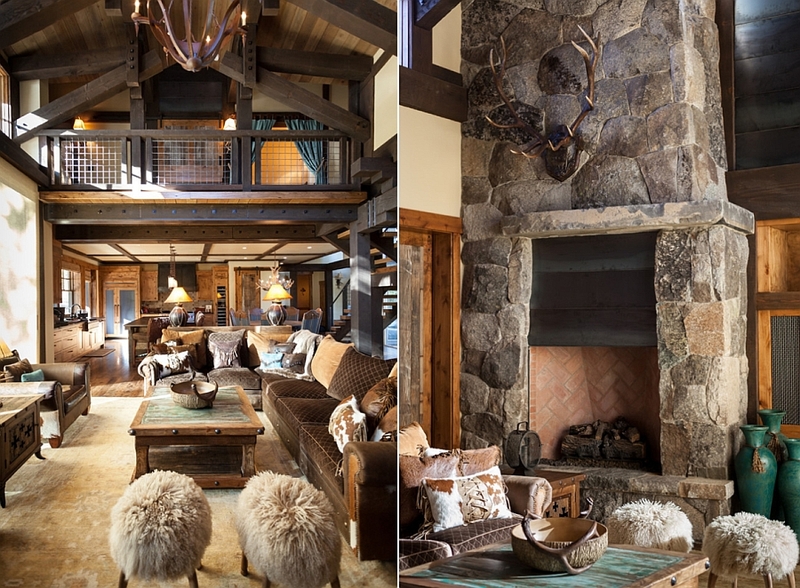 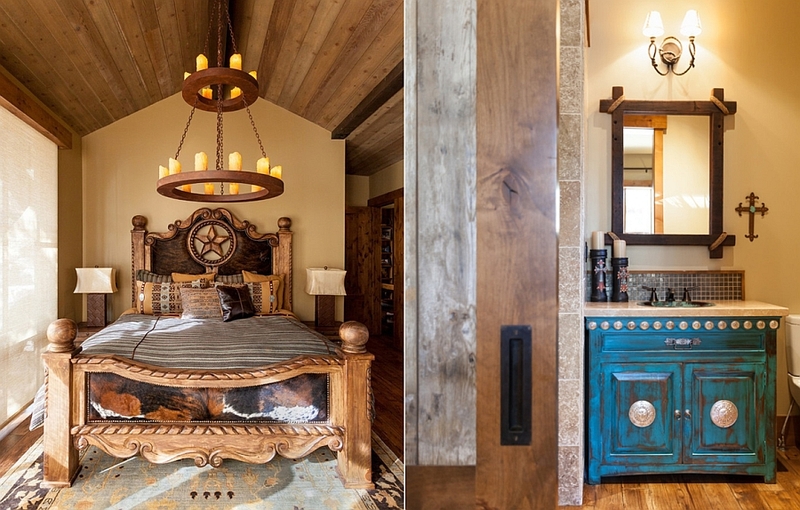 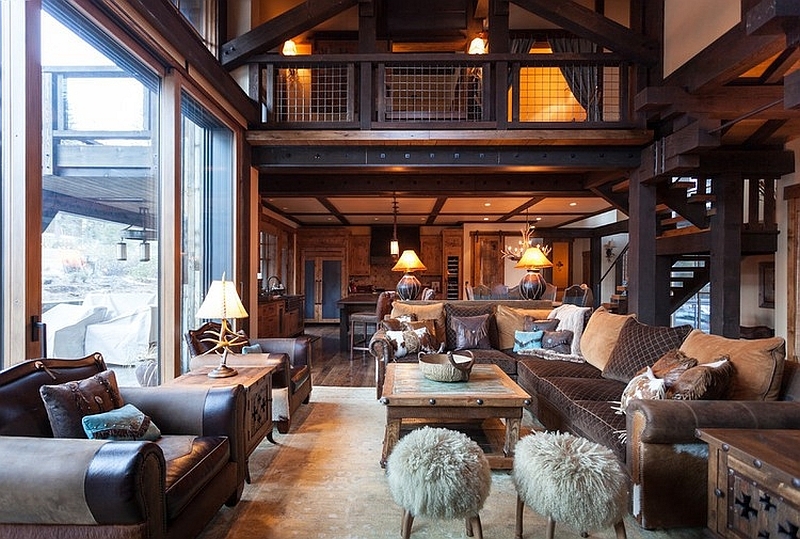 While the grand cabin has an exceptional style of its own, the beautiful use of natural stone, reclaimed wood, cowhide-covered decor and other plush textures brings in that unmistakable rustic vibe. 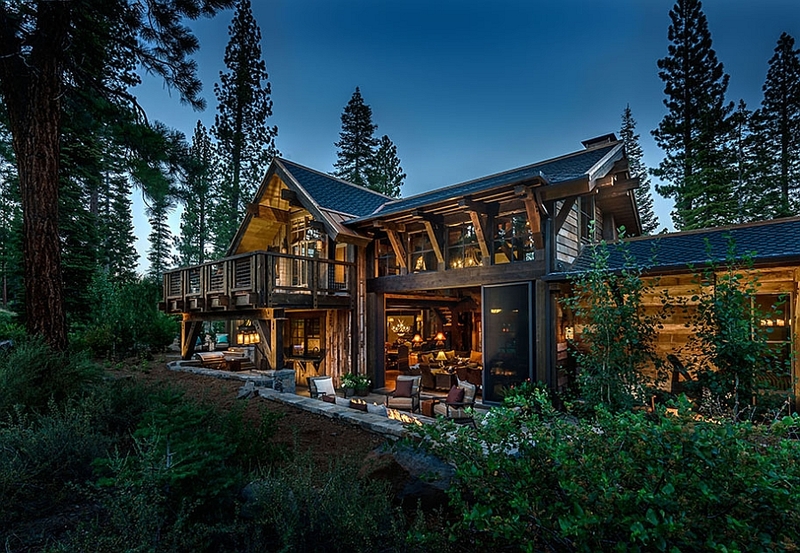 Yet, the presence of large sliding glass doors brings an element of modernity and connects the spacious lower-level living area with the carefully crafted outdoor living space. 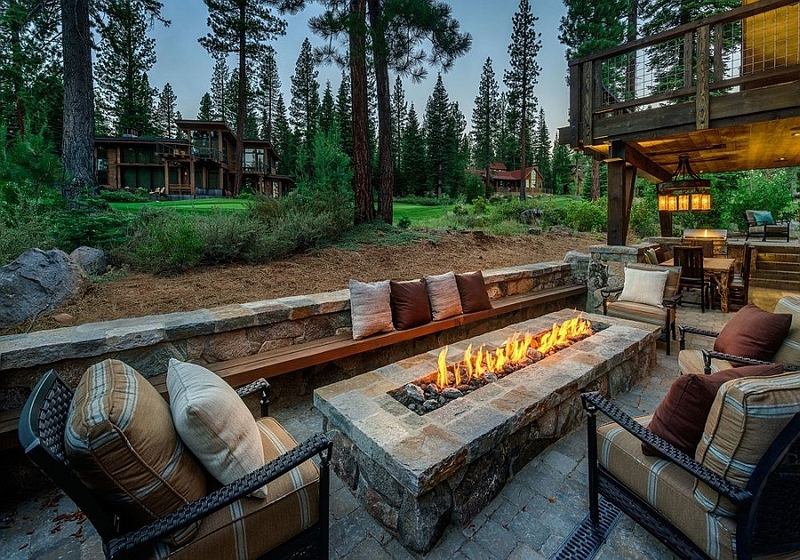 The line between the two is instantly blurred, as you would find yourself spending more time around the outdoor fireplace while the star-studded sky takes over each evening! 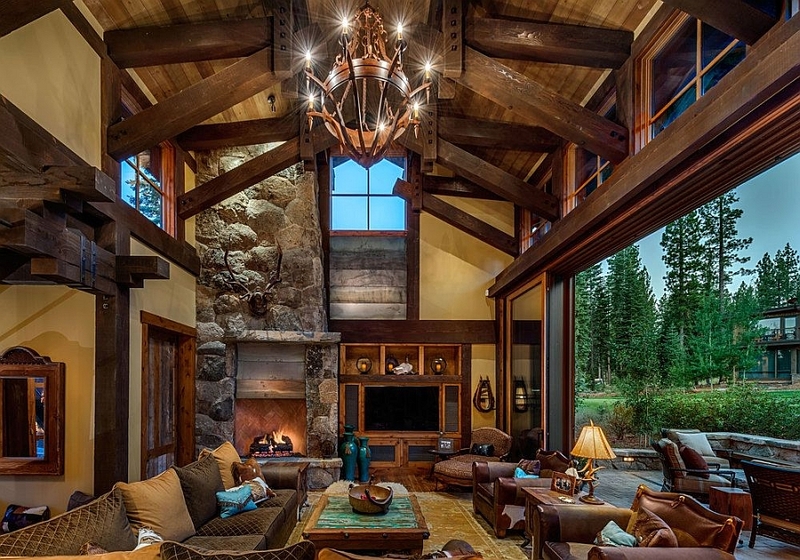 The stone fireplace becomes the focal point of the indoor living space with an ergonomic L-shaped kitchen and large dining space completing the ground level. 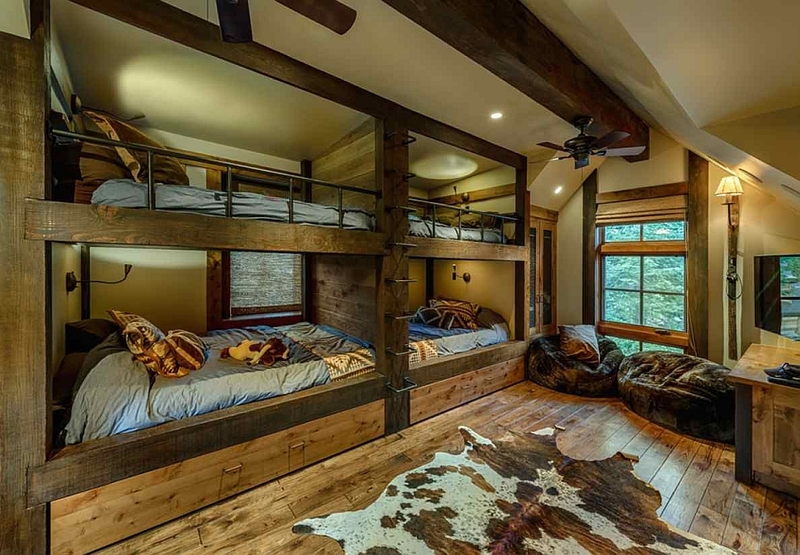 The top floor features the private quarters with a fabulous master suite, an additional bedroom and bath, and a third bedroom that features a wall of bunk beds! 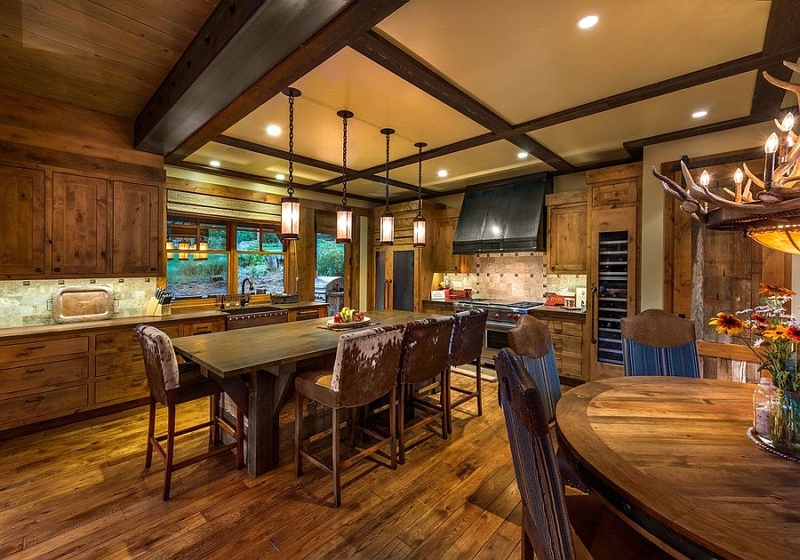 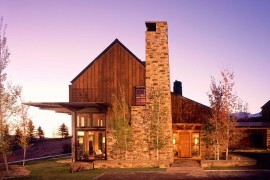 A seamless connection with nature, a snug ambiance and modern rustic style define the charismatic Austin Cabin.